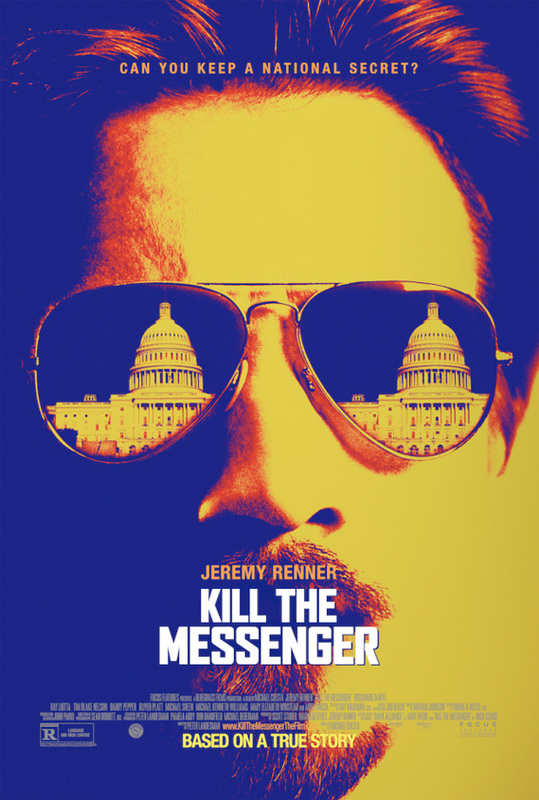 After bringing down aliens in The Avengers, and becoming a corrupt politician in American Hustle, Jeremy Renner is exposing the shady drug smuggling tactics of the CIA in Kill the Messenger. The film hails from "Dexter" and "Homeland" director Michael Cuesta and follows the true story of Pulitzer Prize-winning journalist Gary Webb, who stumbles onto a story which leads to the shady origins of the men who started the crack epidemic on the nation’s streets and more worrisome moves in the so-called "War on Drugs." Rosemarie DeWitt, Ray Liotta, Oliver Platt, Mary Elizabeth Winstead, Andy Garcia and more also star in the film, and the first trailer shows off a pretty compelling story from our nation's history. Kill the Messenger is directed by "Homeland" producer and director Michael Cuesta with a script from Peter Landesman (Parkland), who wrote the script from Webb's book Dark Alliance: The CIA, The Contras, And The Crack Cocaine Explosion and Nick Schou’s Kill The Messenger: How The CIA’s Crack-Cocaine Controversy Destroyed Journalist Gary Webb. The film details the true story of a reporter (Jeremy Renner) who detailed the CIA's connection to the crack cocaine trade, only to be smeared as a result, losing his job, falling into depression, and eventually killing himself. Focus Features releases the film on October 10th. Don't they still smuggle drugs in dead soldiers coffins? Weirdly everyone knows how dodgy the CIA are, but don't really care. This looks pretty good. Though the true story is a sickening one, this looks very entertaining. I hope they do it justice. R.I.P. Gary Webb. Fascinating. Gotta check this out. Another tired "CIA as the bad guy?" What courage! What originality!